With improved medical technology and treatments, your healthcare team has the opportunity to offer better patient care than ever before. Test results, diagnoses, and medications can be arranged in hours or days. 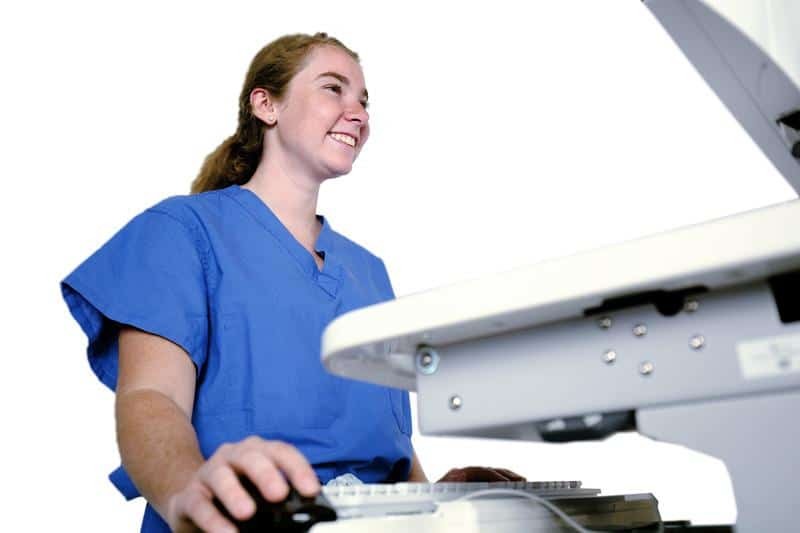 Hands-on care can be equally effective when using a portable workstation cart such as those available through Scott-Clark. Organization is a key element for operating an error-free shift. 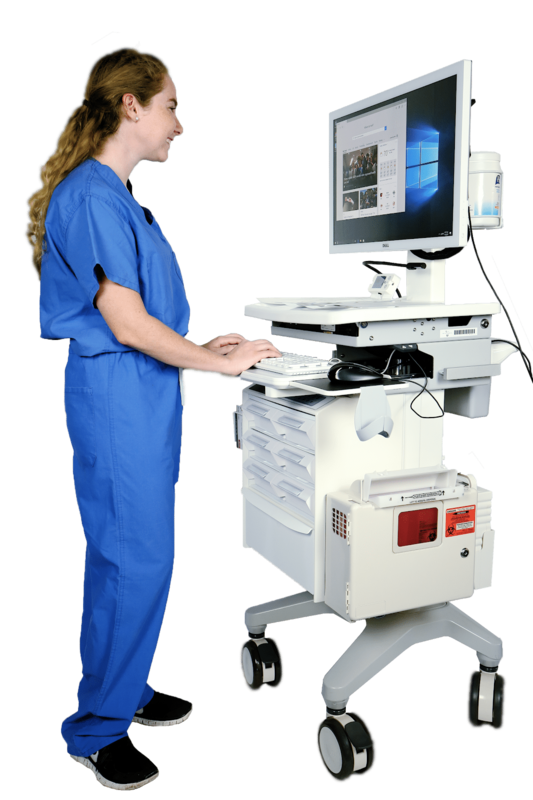 The portable workstation allows your medical team to keep electronic medical records, medical care devices, and supplies all in a single location. Carts can be customized with drawers, bins, hooks, and battery power to enable multi-purposing. The access to needed supplies streamlines the patient care process, leading to greater efficiency and patient satisfaction. The portable workstation allows staff to keep common supplies on hand as they moved between patients. This prevents the constant back and forth associated with tracking down supplies from various areas in the clinic or on the hospital floor. It allows staff to care for patients at the moment they are with them, rather than leaving the patient and coming back once supplies are secured. With a portable workstation, your medical team can consult medical records, document care, and provide bandages, medications, and other supplies all in a single visit to the patient room. With this improved care time, more patients can be cared for within the same time frame. Patients are happier when they receive quicker care, and staff is less stressed when they have immediate access to everything they need to do their job. Time-Saving EquipmentScott-Clark is a trusted medical supplier. Their help desk is always open to answer questions and offer assistance regarding your medical supply cart options. They provide quality medical carts that are lightweight and ergonomically designed to make them easy to use and store. They also offer quality used products, as well as refurbishment options.